One of the most famous auteurs in modern filmmaking, Alfred Hitchcock, said it best, “To make a great film you need three things – the script, the script and the script.” He couldn’t be more on point. Even with marketing videos, the script is the backbone of your video; it’s what your entire video is based upon. Without a stellar script, no matter how visually arresting your video is, it won’t make much of an impact. A successful video demands an excellent script. Make sure you’re putting in a lot of effort to make it as awesome as possible. Here are a few tips to get you started on writing a powerful script for your marketing video. Your script should primarily be able to explain ‘what’ the predicament of your customer base is. It should be able to enact a scenario that highlights the problems of your viewers and how your services or products aim to solve those issues. This will work to engage your audience in the video. Once the problem has been discussed, we get to the ‘how’ part; basically how your services act as a solution. By now, the audience knows the ‘what’ and ‘how’ of the matter. Next you should be able to explain ‘why’ they should choose you. Here you’ll have a chance of proving why you are better than your competitors. The lengthier the script, the less people will be interested in watching your video. The number of viewers will drop with each word that’s goes above the normal limit. 160-200 words equal around a minute of a video; but the magic word count for scripts is 240 words which equals 90 seconds, and that’s perfect! This isn’t always true. For example, tutorials or orientation videos may need to be 10 minutes in order to cover all the topics, but for promotional type videos, 30 seconds to 2 minutes is ideal. 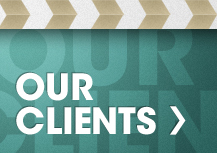 Your script should primarily be centered around your audience and not necessarily around your product or your service. If you’re actively trying to sell something to your viewers, they’re quickly going to get bored and click away from your video. Take a soft-sell approach when it comes to creating your script. The script should focus on what issues the viewers are facing and how your services can help them. A clear and compelling call-to-action is the bait that helps you reel in the fish. Your script should make it clear to the viewers what the next step is. Whether it is sharing the video on social media or downloading a form, the CTA should be clear. 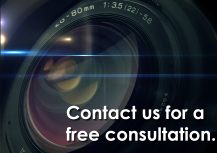 Looking for video advertising in Orange County? 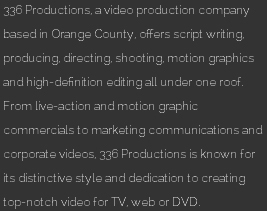 336 Productions is your one-stop video production company in Orange County. 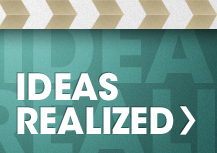 We are the perfect creative partner to help you execute your corporate video marketing campaign from A to Z.